Kick off your visit on the 23rd (Sun): take in the dramatic natural features at The Gap and Natural Bridge, enjoy the sand and surf at Cosy Corner Beach, and then tour the pleasant surroundings at Greens Pool. Get ready for a full day of sightseeing on the 24th (Mon): enjoy the sand and surf at Little Beach and then tour the pleasant surroundings at Cheynes Beach. To find maps, other places to visit, reviews, and more tourist information, go to the Albany online trip itinerary maker . Singapore, Singapore to Albany is an approximately 11-hour flight. You can also do a combination of flight, train, and bus. Traveling from Singapore in December, you will find days in Albany are a bit cooler (26°C), and nights are colder (13°C). 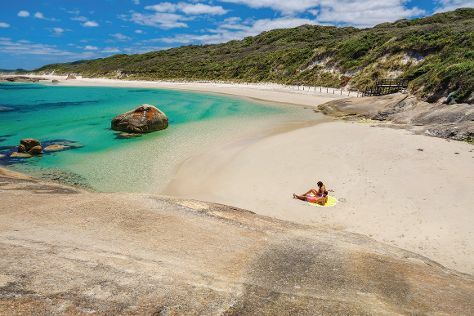 Wrap up your sightseeing on the 24th (Mon) early enough to drive to Margaret River. 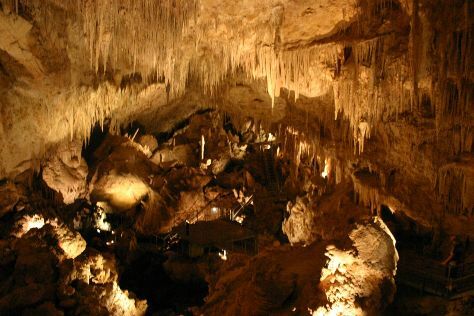 On the 25th (Tue), Head underground at Mammoth Cave and then explore the fascinating underground world of Lake Cave. To find more things to do, ratings, maps, and tourist information, you can read our Margaret River trip planner . You can drive from Albany to Margaret River in 4.5 hours. Alternatively, you can take a bus; or do a combination of flight and bus. Finish your sightseeing early on the 25th (Tue) so you can travel to Port Douglas. You'll discover tucked-away gems like Agincourt Reef and Mossman Gorge. Bring the kids along to Scuba & Snorkeling and Wildlife Habitat Port Douglas. To see traveler tips, more things to do, photos, and other tourist information, use the Port Douglas trip itinerary builder website . You can do a combination of bus, flight, and shuttle from Margaret River to Port Douglas in 14 hours. Alternatively, you can drive; or do a combination of bus, train, and taxi. You'll lose 2 hours traveling from Margaret River to Port Douglas due to the time zone difference. In December in Port Douglas, expect temperatures between 36°C during the day and 26°C at night. Wrap up your sightseeing on the 28th (Fri) early enough to travel to Noosa. 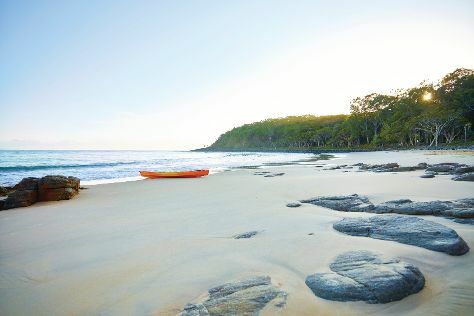 Start off your visit on the 29th (Sat): explore the wealth of natural beauty at Noosa National Park. Keep things going the next day: kick back and relax at Mooloolaba Beach and then kick back and relax at Noosa Main Beach. To see other places to visit, reviews, maps, and more tourist information, go to the Noosa driving holiday planner. Traveling by combination of shuttle, flight, train, and bus from Port Douglas to Noosa takes 9.5 hours. Alternatively, you can do a combination of shuttle, flight, and bus; or drive. Wrap up your sightseeing on the 30th (Sun) to allow time to travel to Sydney. 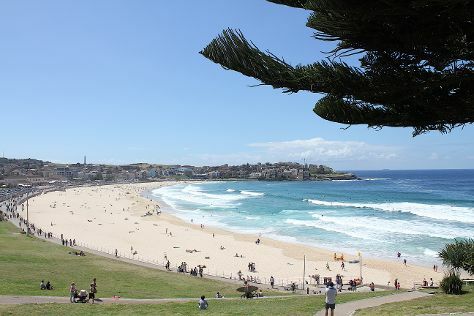 Family-friendly places like Bondi Beach and Coogee Beach will thrill your kids. There's still lots to do: tour the pleasant surroundings at Bondi to Coogee Beach Coastal Walk, meet the residents at Sea Life Sydney Aquarium, see a show at Sydney Opera House, and kick back and relax at Manly Beach. To see ratings, traveler tips, photos, and other tourist information, read Sydney online trip planner . You can do a combination of bus and flight from Noosa to Sydney in 6 hours. Alternatively, you can do a combination of bus, train, and flight; or drive. December in Sydney sees daily highs of 32°C and lows of 21°C at night. Finish your sightseeing early on the 2nd (Wed) to allow enough time to travel back home.